The text messages just keep on coming. Even Aria's mom is not immune to receiving them. Can we really trust Ian? The girls have their doubts on Pretty Little Liars and for good reason. 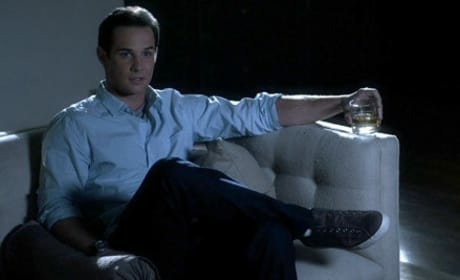 Spencer has reason to be worried in this scene from "Someone to Watch Over Me." The police are raiding her room. Do you trust Ian? There's something very creepy about this guy. 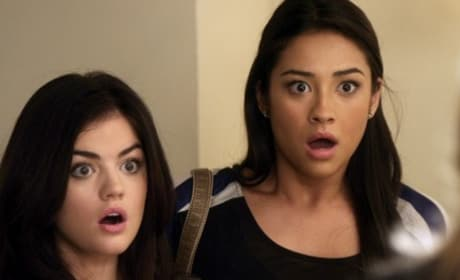 Gotta love Aria and Emily's faces in this scene. They are watching Hanna confront Jenna. 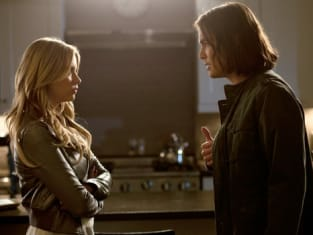 Hanna has good reason to be mad at Caleb. The guy has been spying on her, after all.